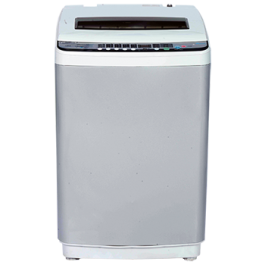 This Top Load Automatic Washing Machine uses “Fuzzy Logic” which automatically detects the weight and material of your clothing and caters its cycle to them ensuring that your clothes receive the attention and care that they deserve. Its spacious 11kg capacity means that you can get through big family loads with ease. Fuzzy LogicCan detect the material and weight of a laundry to determine appropriate amount of water and time to be used to complete the whole process of washing，rinsing and spinning. Child Safety Lock: The program is locked when the washer is working to avoid program error caused by children's curiousness.